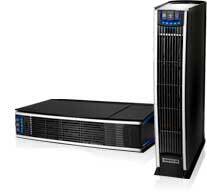 The Oreck Proshield is a new air purifier from Oreck. This is a electrostatic preciptiator. It uses permanent metal collector plates instead of a replaceable filter. Let's take a closer look at this air purifier. This Oreck machine uses an electrostatic filter. Oreck calls this a Truman Cell. They claim this air purifier is 95% efficient at removing particles 0.1 microns and larger. This sounds great at first glance. However, 95% is not that great. More importantly, that 5% it misses are the smallest particles and the ones most likely to cause breathing problems. Oreck boast of their 6 stage filtration system. We only counted 5 stages. You can read more about the 5 stage filtration process here. Well here the Oreck Proshield does outstanding. Since both the pre-filter and the Truman cell are permanent, you never have to buy a new one. Just wash them, let them dry, and reinsert them. The odor absorber must be replaced. It cost about $50 to replace it. The Oreck Proshield is advertised as cleaning the air in a 12 foot by 18 foot room two times an hour. This may sound good on the surface, but a good air purifier should be able to exchange the air at least 4 times an hour. That takes the recommended room size for this air purifier down to 6 foot by 9 foot. These machines were not submitted to AHAM for testing so we don't know what the CADR rating is. This purifier has 3 speeds. The lowest speed is silent mode. Customers have reported that it is very quiet on the lowest speed. It measures 10.5" X 4.5" X 18" so it can fit into small spaces. It can also be operated either horizontally or vertically to fit into almost any space. It includes an odor absorber. The purifier will still work fine without the odor absorber. Be aware that the odor absorber will help some. If you really need odor removal, you will need an air purifier with a large amount of activated carbon. This is very energy efficient. It uses about the same amount of energy as a 60 watt light bulb. This purifier comes with a 3 year warranty on parts and labor. This is good only for the original owner. If you buy a reconditioned purifier, there is only a 1 year warranty. Oreck also gives a 30 day risk free trial. If you are not happy with the air purifier, you can send it back for a full refund. They will even pay the shipping for you. The Truman Cell comes with a lifetime warranty. If it breaks Oreck will replace it. Some customers reported that the Oreck Proshield worked great. One customer said that it removed odors leaving their house smelling fresh. Another one said it helped her allergies so much. She was no longer waking up in the middle of the night with a stuffy nose and unable to breathe. One person reported that the purifier worked great for a while and then stopped working. Another said after plugging it in they never noticed a difference in the air. Odors were still there. Another one reported that if you want a washable filter it is a good buy, but his HEPA filter did a much better job and was quieter. We feel that this is an air purifier that offers too little for a really big price tag. This is an electrostatic air purifier with a permanent filter. If you are willing to keep it clean, it will do a good job. Oreck recommends cleaning it every month. In reality you probably need to clean it every other week. Once dust builds up on the plates, the quality of filtering really goes downhill. If you have a small room, this might do a good job. We're thinking college dorm room or a studio apartment. For a normal size room in a normal size house, we don't think this will do a good job. Once again the advertised efficiency is 95% of particles 0.1 microns and larger. This sounds good at first but compare it to Blueair air purifiers. Blueair air purifiers can remove 99.9% of particles this same size. It does produce some ozone if you use the air revitalizer. This is optional so you can keep it turned off. Overall, we would never buy this model for ourselves. We think that it doesn't do a good enough job to justify the cost. Leave Oreck Proshield Page and Return to Oreck Air Purifiers Page. Leave Oreck Proshield Page and Return to All About Air Purifiers Home Page.